The domestic thermal power sector hit many speed bumps in FY19 and managed to achieve just 29 per cent of the envisaged target. Although 7266.15 Mw in fresh thermal power capacity was supposed to be added, only 2129.75 Mw was actually added, data from the Central Electricity Authority (CEA) showed. 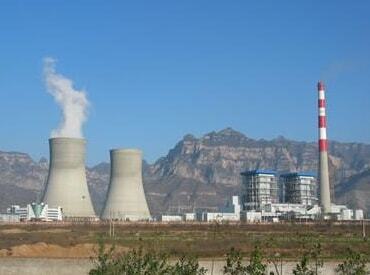 “Thermal power generation is losing traction with the surge of renewable energy. The market is also oversupplied with coal-fired power. Developers who add fresh capacities also need to negotiate risks like lack of long-term power purchase agreements (PPAs), non-availability of coal linkages and competitive tariffs from solar and wind power generation,” an industry source said. “The demand-supply shortfall has been consistently contracting post-October 2017. Post-integration of regional grids, the demand-supply constraint in the country has remained considerably low at 0.5-1.2 per cent. With a major improvement in electrification, the demand may spike during peak summer seasons and having enough transmission capacity would be vital to cater to that demand and containing power deficit. Investments in grid strengthening will have to be increased considerably as more renewable energy capacity is added”, a report by CARE Ratings said. The rating agency expects the demand for imported thermal coal to normalise going forward as supply constraints of domestic coal improve over the next 12 months. However, the overall demand for thermal coal would continue to remain in the range of 135-145 million tonnes annually. Trimming aggregate technical & commercial (AT&C) losses hold the key to stabilising the power sector. “Achieving 15 per cent AT&C all-India as stipulated under UDAY (Ujjwal Discom Assurance Yojana) scheme would require improvement in revenue collection especially from domestic power consumers who have been electrified under the “SAUBHAGYA” (Pradhan Mantri Sahaj Bijli Har Ghar Yojana) scheme. Additionally, completion of measures like smart-metering should be expedited and implemented in a time-bound manner”, the report noted.